Subliminal transportation systems from Stelzer Murray, a pair of individually prolific avant-garde artists from Boston, making their overdue debut collaboration with Connector; an immersive flow of lower case texturhythms and microtonal drone recommended to anyone who’s been snagged by Jim HJaynes’ atmospheric works or the quietest enigmas by Kevin Drumm or Zoviet*France. 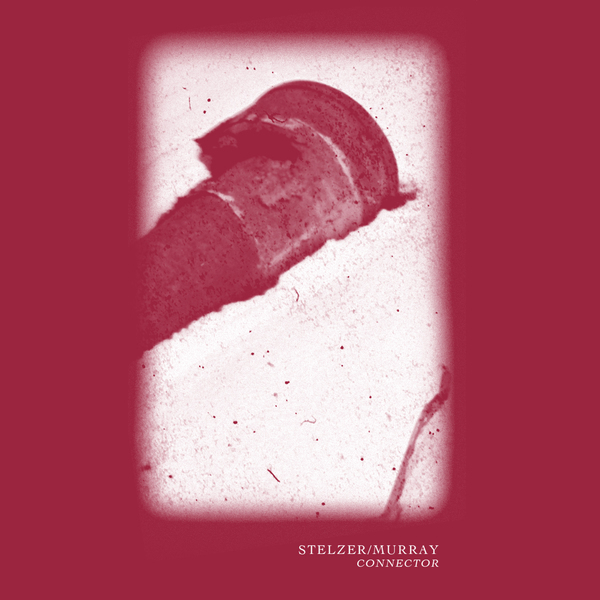 “Stelzer brings to the table an array of mangled and partially demagnetized tape; and Murray brings his knack for compacted harmonics, obfuscated field recordings, and long-view compositional strategies. An irradiated, almost Kirlian glow permeates Connector through the duo's slow accretions and erosions amidst the soaring crescendos of compacted tone and vacant shadows of mechanical thrum. On occasion, rasping saw tooth frequencies and oblique synth-noise phrases stridently pop in a clinical opposition against the field of hiss. Screaming cascades from ice storms. Tape symphonies from urban blight. Life-support machines at the point of obsolescence. In describing the process of building this album, Stelzer reflected, "When you've known someone for this long, the act of collaboration is like conversation over dinner; you don't fuss over it or worry about it; it's stress free, even instinctual like exhaling."